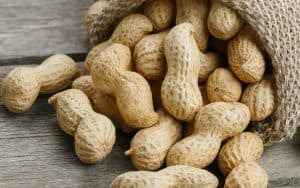 What’s buzzing this week for boomers in local food and brews news. 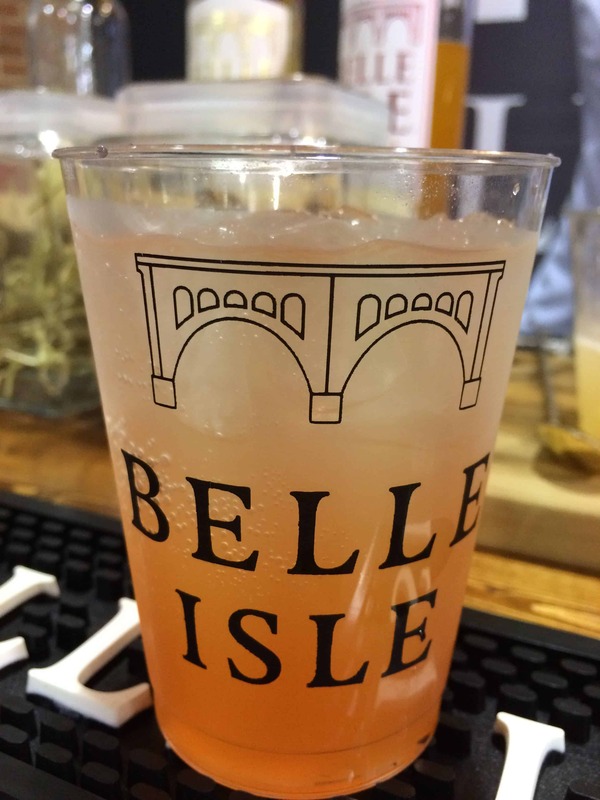 The distillers at Belle Isle Craft Spirits have added a new product to their line-up: Belle Isle Blood Orange Premium Moonshine. With a splash of soda, on ice or in a cocktail, the new spirit offers the bright, satisfying flavor of fresh blood oranges. 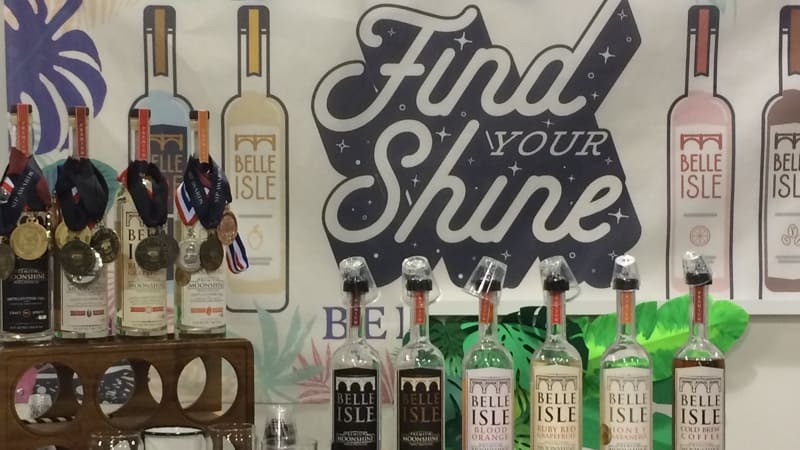 With a distillery based in Richmond’s Manchester neighborhood since 2013, Belle Isle Craft Spirits has been providing quality moonshine. Beginning with 100-percent organic corn, Belle Isle moonshine is triple distilled, removing nasty congeners, removing burn and adding a rich smoothness with a hint of corn sweetness. The new Belle Isle Blood Orange Premium Moonshine uses organic blood oranges from California and Arizona. The infusion uses the entire orange: the oranges are cut open and crushed to get all of the citrusy essence from the juice, pulp and skin. The distillery produces three other flavored moonshines: Ruby Red Grapefruit, Honey Habanero (using local honey and habaneros) and Cold Brew Coffee (with organic, fair-trade coffee roasted at Blanchard’s of Richmond). Belle Isle Blood Orange Moonshine is available throughout Virginia and in 11 additional states. Pick up a bottle at a Virginia ABC store and use it in one of the company’s suggested recipes, such as the Bloody Mule or the simple Blood Orange & Soda. 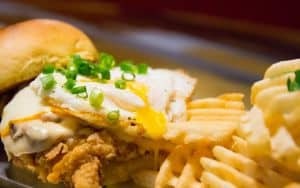 Maymont and Hardywood Park Craft Brewery presented the fall edition of For Every Saison, pairing food from top Richmond chefs with Hardywood beers – year-round, seasonal and custom – and announced the spring 2019 event. The first course, for example, created by Chef Walter Bundy of Shagbark, include a rich autumn mushroom bisque with shrimp, bacon and corn, paired with the For Every Saison farmhouse saison beer. Hardywood lead brewer Kevin Storm tailored the beer for the event using ingredients grown at Maymont, including fennel (the dominant flavor), hibiscus and goldenrod. The next Hardywood-Maymont For Every Saison beer dinner will be on Cinco de Mayo: May 5, 2019, with courses inspired by traditional Mexican or Central American cuisine. Proceeds benefit Maymont, creating a tasty way to support a Richmond icon. 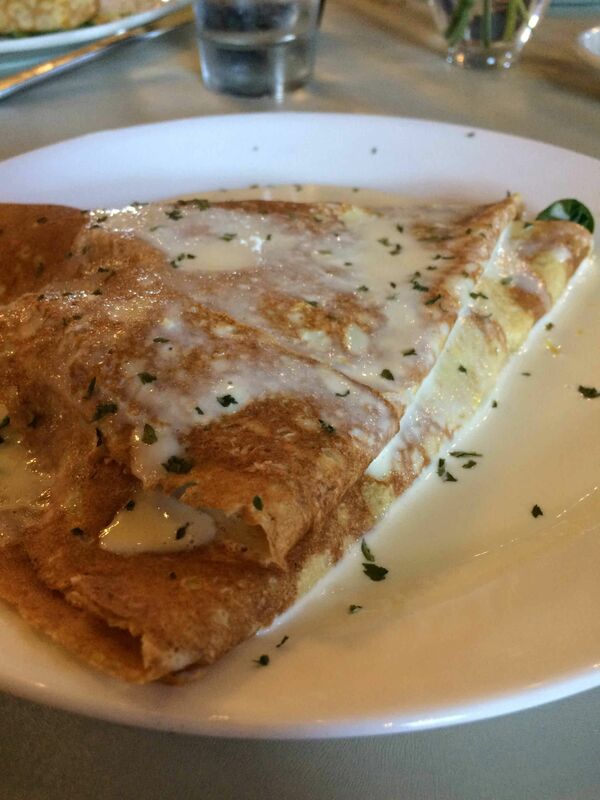 With two locations, Carytown and Stony Point Fashion Park, Les Crepes offers savory and sweet French-inspired crepes with creative American touches. Go rich with the seafood crepe – scallops, shrimp, squid, clams, mushrooms and bell peppers in a creamy lobster sauce. Go American with the burger crepe – ground beef, bacon, cheddar cheese, tomatoes caramelized onions, and red pepper sauce. And be sweet with Nubana – a chocolate crepe with banana, Nutella and vanilla ice cream. Tuesday, Oct. 2: Legend Brewing Company, 321 West 7th Street, Richmond. 5-7 p.m.
Thursday, Oct. 11: Final Gravity, 6118 Lakeside Avenue, Richmond. 6-8 p.m.
Friday, Oct. 19: Ardent Craft Ales, 3200 West Leigh Street, Richmond. 5-7 p.m.
Thursday, Oct. 25: Hardywood Park Craft Brewery, West Creek location, 820 Sanctuary Trail Drive, Richmond. 5-7 p.m.
Thursday, Nov. 8: Hardywood Park Craft Brewery, 2408 Ownby Lane, Richmond. 6-8 p.m.
Saturday, Nov. 10: Hops in the Park, Henricus Historical Park, 251 Henricus Park Road, Noon to 6 p.m. (presentation at 2 p.m.). Cross Pollinate, a barrel-fermented collaboration with The Veil Brewing Co.
Wicked Weed Brewing, best known for its barrel-aged sours, is coming to Richmond, with an incomparable lineup of West Coast-style IPAs and, of course, sours. 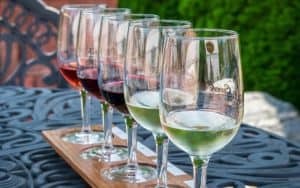 The Asheville, North Carolina-based brewery is celebrating with Richmonders throughout the week, with a bar crawl, launch party, steal-the-glass night and tap takeovers. Tuesday, Oct. 2: Bar Crawl, starting at Boulevard Burger and Brew from 5-6:30 p.m.; to Fat Dragon from 6:30-8 p.m.; and River City Roll from 8-10 p.m.
Thursday, Oct. 4: Meet the Blender, with an appearance by the one who mixes the sours to create the magical brews, plus chances to try some of Wicked Week’s most popular and funkiest beers, from 5:30-8 p.m. at Southern Railway Taphouse. Founded in 2012 in Asheville, Wicked Weed expanded rapidly and opened additional locations, including the Funkatorium, the first taproom and barrelhouse on the East Coast devoted exclusively to sours. In 2017, the business was acquired by The High End, Anheuser-Busch’s business unit focused on its craft-style beers and import brands.